New York, NY—With the diamond industry facing more competition from more places than ever, the basic elements of building desire for diamonds aren’t enough to keep the industry strong anymore. In an exclusive interview with The Centurion, Grant Mobley, trade liaison for the Diamond Producers Association, talked about what it’s going to take to move the needle from this point forward. Mobley grew up in the industry and has spent time on both the wholesale and retail sides of the industry before joining the DPA last spring. The Centurion: Having been on both the retail and wholesale sides of the industry, and now in trade promotion, what do you see as the most critical need the trade has? Grant Mobley: Our most crucial need is education. I have been in the industry my whole life and met thousands of people in it, and you wouldn’t believe how many within our own industry have so much incorrect or outdated information about the diamond industry! Understanding and being able to articulate truthfully to the consumer over the counter the realities of our industry and the great things this industry does for millions around the world is so important. 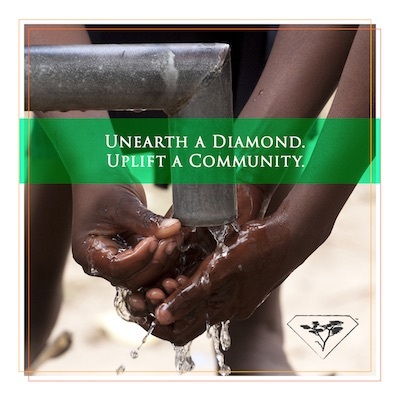 Whether it is knowing how diamonds formed and why it is truly incredible that we get to cherish them, or that more than 10 million people around the world rely on diamond revenues to support their families, this information moves modern consumers. It will trickle down and help truly change the perception of our industry. The Centurion: An executive from Google who spoke at Centurion observed that the marketing vehicles jewelers typically use most are the opposite of how consumers spend their time. How will the DPA in its promotion efforts help retailers get more in sync with consumer eyeballs? Mobley: This is an issue that all industries are facing in marketing. We live in a time where people pay to avoid advertising, and this is a big factor in our decision-making at the DPA. It is no secret that digital advertising is more and more important, but just spending your advertising budget on Facebook and Instagram is not enough. You have to insert yourself into the conversation in your area. Also, investing in your in-store experience is one of the most important things you can do, because word-of-mouth is still king. We get retailers to step out of their comfort zones by showing them all the research that backs up the new ways that consumers respond, and the success of focusing on other areas. It is relevant to buyers and it is becoming more and more so. The Centurion: So much is discussed about Millennials—how much money they have, what their spending priorities are, and do they care about fine jewelry? But Boomers currently still hold more spending power. Are they still a viable market to actively target? Or have their priorities have changed and they're maturing out of the market for diamond jewelry? Mobley: Millennials are the largest generation in the United States today: 80 million strong. They also over-index on diamond purchases, meaning they spend more than their share of the market. So the myth that Millennials don’t care about diamonds—or don’t have money—are simply not true. There is hard evidence from multiple sources that the undeniable growth of diamond demand—which is at an all-time high—is directly related to Millennials. That said, Boomers do hold a larger percentage of money. Even though the Millennial generation will get more and more important, right now we cannot forget about Boomers. Their perception around diamonds is very much positive, and we are seeing a shift into woman buying for themselves, not waiting for gifts. More than 30% of all diamond purchases now are woman self-purchase so the shift in marketing is toward women. The Centurion: Much of the retail jewelry sector through its own missteps has trained consumers to view diamonds as something to “get a deal” on. Yet DPA seeks to emphasize diamonds as an object with real, lasting value and authenticity. How can DPA reinforce that message when so much diamond advertising screams discounts and makes (non-luxury) jewelers seem like car dealers and mattress stores? Mobley: Often marketers and retailers use price as an effort to get people in the door and you are right, it doesn’t make the industry look good. The good news is that luckily, price is not the most important factor for consumers when buying diamonds, and some of the most successful jewelers out there are not doing that. [DPA] cannot act as the diamond police. People can market how they like, as long as they do not deceive consumers. It our job to show the way and to show how positively consumers react when they are given great buying experiences and when they walk away with a diamond that they bought with emotion, not just numbers on a certification; when they know that the diamond they bought is more than a billion years old, holds secrets from the ancient earth, or helped provide education for children in Botswana. Those things last forever but a “deal” goes away quickly. The Centurion: What is your personal goal to move the needle on diamond desire? Mobley: The diamond business is my true passion. It has supported my family since before I was born, I have seen the good it does around the world, and I feel so lucky to get to work with a product that brings so much joy to people when they get to wear them. My goal is to convey that passion that I have for this business into the retailers, salespeople, or anyone in the industry that may not share it already, and to give people the tools to share with their customers why diamonds are such a miracle of nature and move away from selling on price alone. To move the needle with consumers, you have to start with the retailers. They are in front of consumers, and it’s their conversations that will move people, and their stories that will be retold. Excellent article. Great responses to the questions.